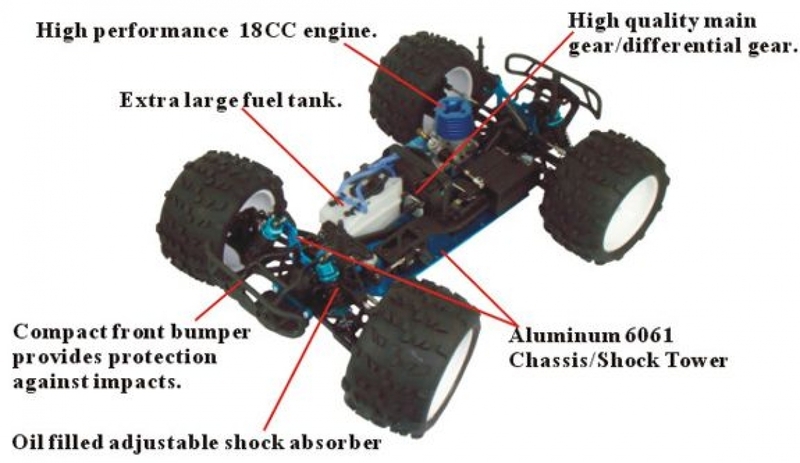 HSP Hi-Speed 1/8th scale Nitro powered off-road Monster Truck offers the best value for money off road truck with out compromising features and quality. 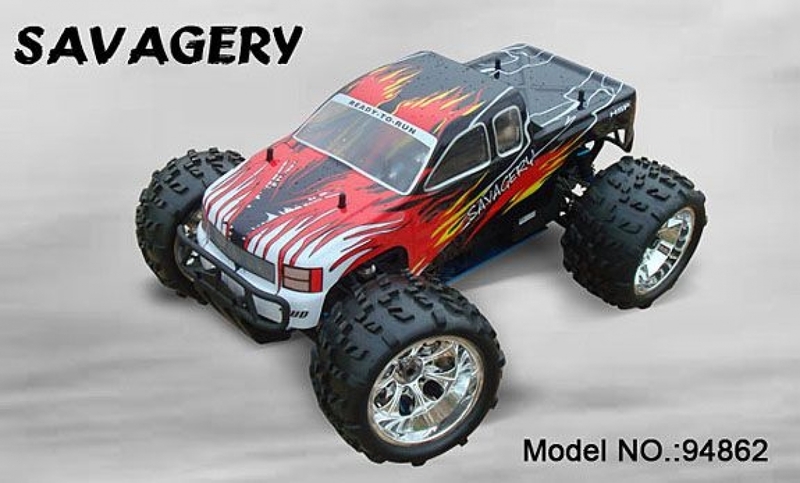 This model has all the features including the compact front bumper, extra large fuel tank, aluminum radio tray/shock towers, aluminum shock absorbers, knobby off-road tires, protective roll cage, new style wing. 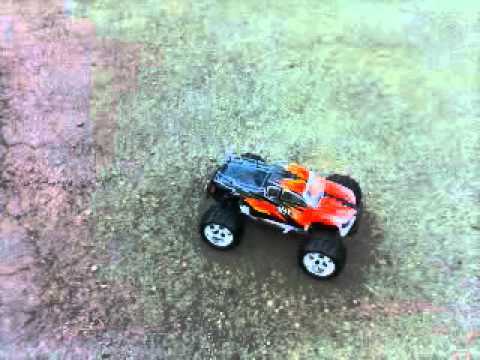 2.4Ghz Radio Remote Control .